Buddhism has many different national and local cultures and traditions. 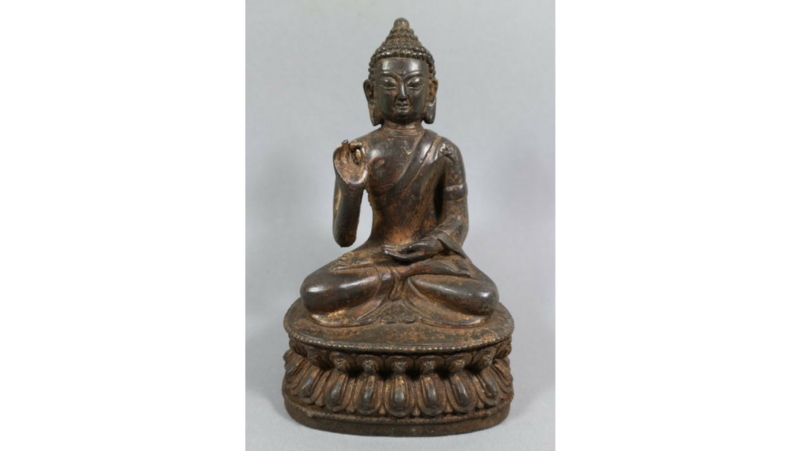 But even though the style of Buddha statues might vary regionally, they can be recognised by their hand gestures, or mudras, which each convey a spiritual meaning. 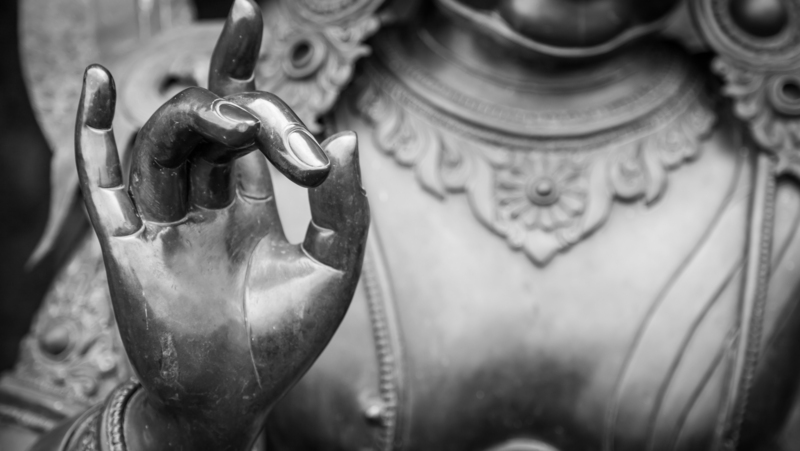 There are over 100 different mudras, but what do all the different hand gestures mean? Sarah Orford, one of our in-house Buddhism experts, has years of experience working with Asian art and culture and now curates our weekly Buddhism auctions. 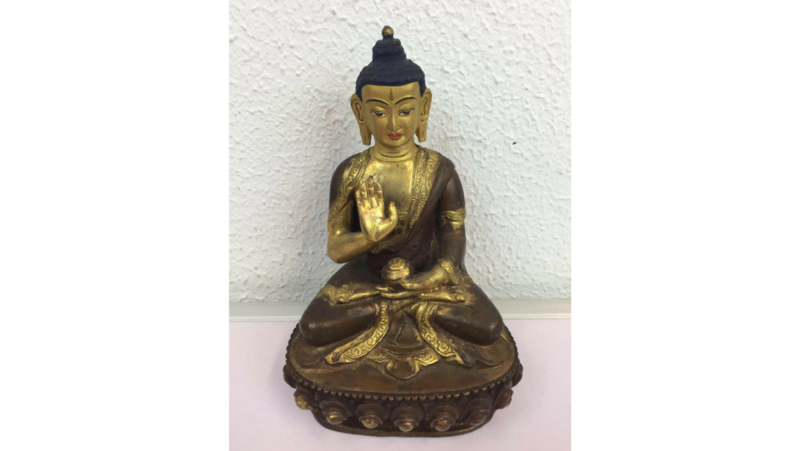 Read on as Sarah lists the most common Buddha statues so you can decipher what your Buddha statues' hands stand for. 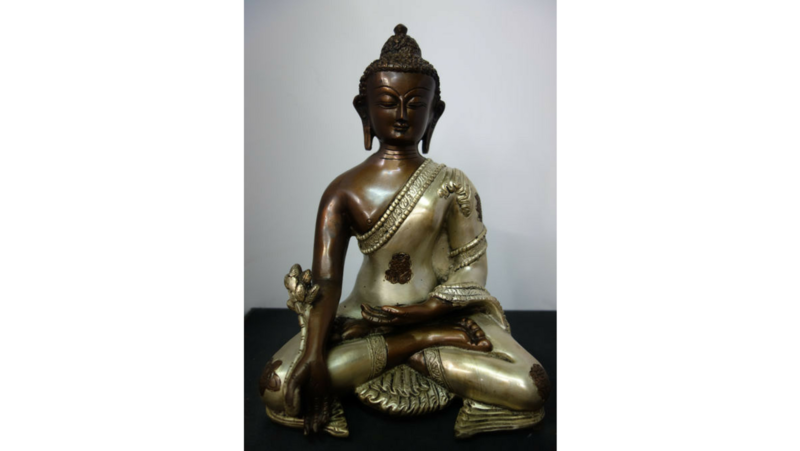 The bhumisparsha Buddha is always depicted in a seated position, with the right hand resting on the knee and fingers pointing towards the earth. The left hand rests on the lap with the palm facing upwards. ‘Bhumisparsha’ means ‘touching the earth’ or ‘calling the earth to witness’. This mudra represents the moment when Buddha became enlightened underneath the Bodhi tree. 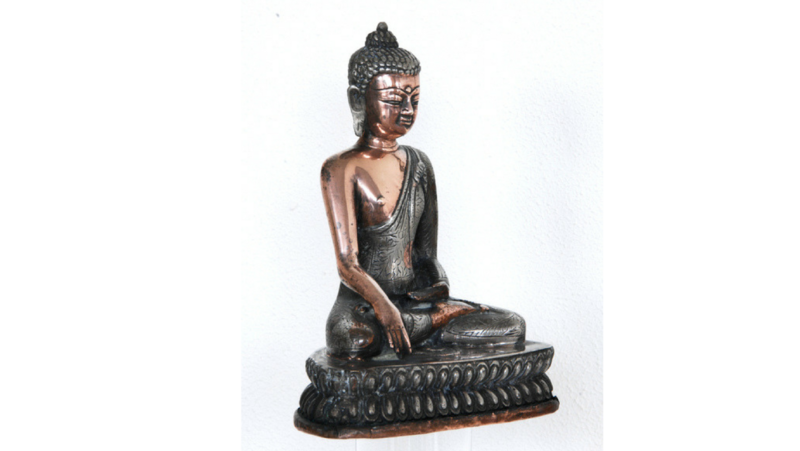 The dhyana Buddha statue shows both hands resting in the lap. The back of the right hand is leaning on the palm of the left hand. Often the thumbs are touching each other, forming the mystic triangle. This is the meditation mudra, which symbolises wisdom. The Buddha used this gesture during his final meditation under the Bodhi tree when he attained enlightenment. The right arm of the varada statue falls downwards, with the palm facing towards the viewer. The five extended fingers represent the five perfections: generosity, morality, patience, effort and concentration. The varada mudra stands for compassion and charity and is often combined with other mudras. The karana gesture has its index finger and little finger pointing straight upwards, while the other fingers fold into the palm. 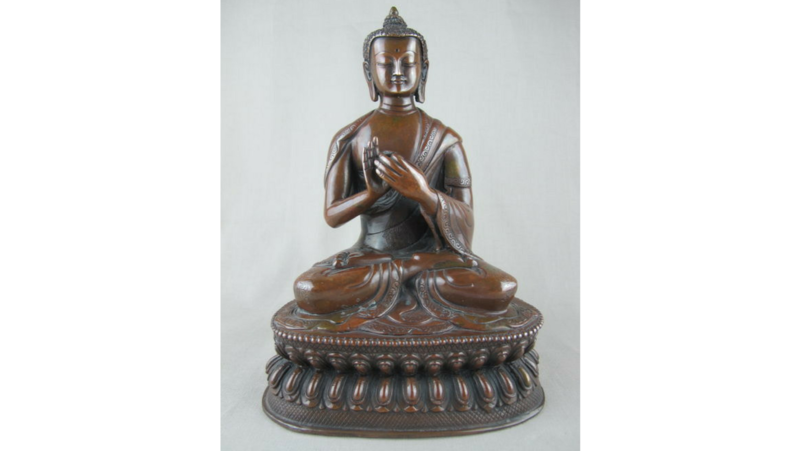 The karana Buddha can be depicted both seated and standing. 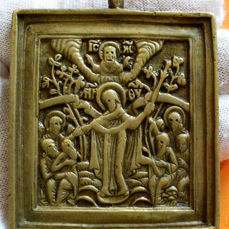 The meaning of this gesture is to ward off evil and to get rid of demons and negative energy. This mudra shows the tip of the middle finger on one hand, touching the tips of the thumb and index finger of the other hand, forming the mystic circle near the heart. 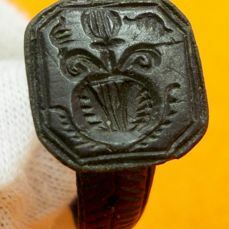 This gesture represents setting the Wheel of the Dharma into motion. 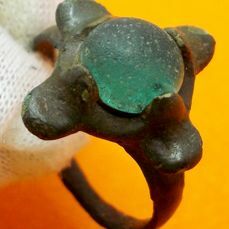 After the Buddha achieved enlightenment, he gave his first teaching to a companion in the Deer Park of Sarnath, and therefore it represents teaching. In the Vitarka Mudra, the tips of the thumb and index finger touch each other and form a circle. The right hand is held up to the viewer and the left hand is resting in the lap. The Mudra symbolises the teaching phase in the life of Buddha and the circle stands for a never-ending flow of energy. Do you want to buy a Buddha statue yourself? The statues all have a different significance to an event in the life of the buddha and carry an important message or lesson. Which one speaks to you the most? 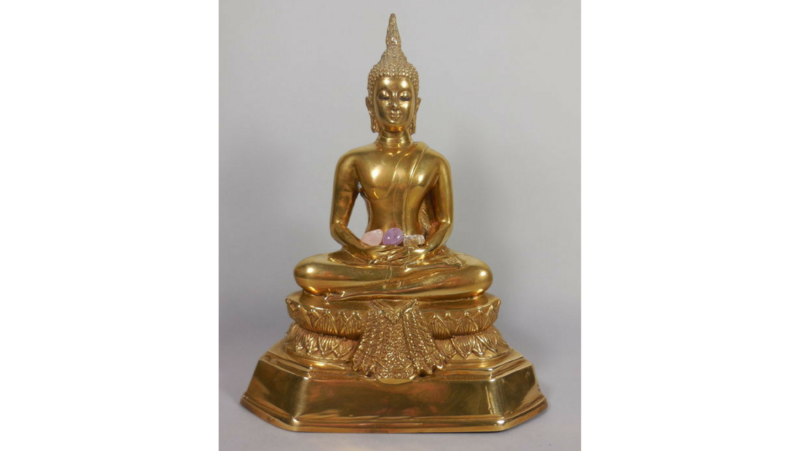 Buy your own Buddha statue now in our weekly Buddhism auction. Looking to sell a special Buddha statue instead? 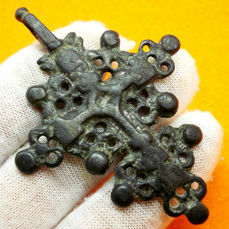 Everyone is welcome to offer up special objects for our auctions. Simply register for a free account to get started selling at auction.